The challenges in Risk of Rain tend to boil down to hunting things down and killing them over and over again. If not, they usually involve hunting things down while not getting killed a lot. There are a few, though, which are considerably more obtuse. Death Do Us Part doesn’t seem like one of those at first glance; it even tells you where the hidden chamber is. Well, it tells you what level it can be found in, which is basically the same thing. However, in order to complete this challenge, finding the chamber isn’t enough – you need to find your way inside, first. You’ll know when you come across the Aqueduct as you make your way through your run: it’s the sandy desert area, which doesn’t exactly make it the most effective of aqueducts. All we’re saying is be sure to pack a spare water bottle. Once you find out how to access the aqueduct, a tough battle awaits inside. You’re going to want to team up for this one, but it’s also handy to have mates helping you out to actually get the damn door open, otherwise it can be just a little bit awkward if you’re not running the right class. 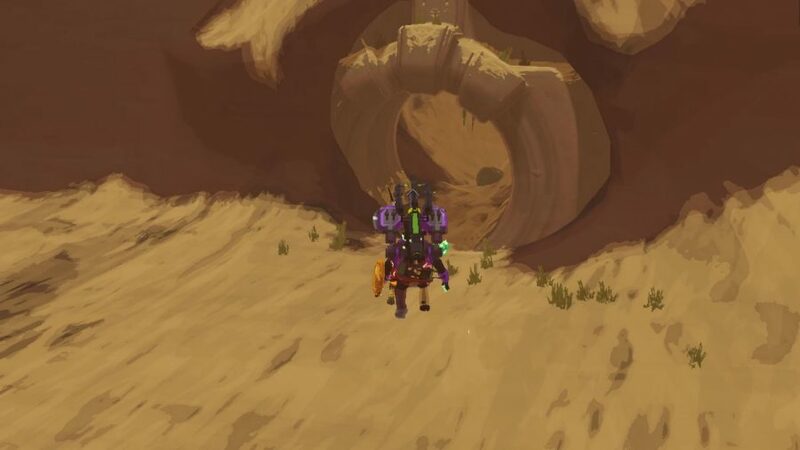 Anyway, here’s how to access the Risk of Rain 2 Hidden Aqueduct to help you complete the Death Do Us Part challenge. Before you start your run know that there are two switches (example pictured below) which you need to stand on at the same time to progress. If you’re playing with friends then this is no issue. If, on the other hand, you’re alone, you need to play as the Engineer, as he always brings his own friends along in the form of a turret you can place down. You can also use pots to activate them if you want, but they can be volatile. If you don’t have the Engineer yet, just play through the game until you have completed the necessary 30 levels to unlock him. Now, onto the switches. The switches are randomly generated, but they tend to be appear next to a cluster of objects, such as rocks. The buttons are little sand-coloured pressure plates – not the most helpful, given your surroundings – on which you need to either stand or drop a turret. Once you’ve done this, the gate will open and you can make your way inside. Then you will be greeted by a descending path that leads to a peculiar room with some empty chests at the back. Before you can get to them, though, two enemies will spawn: Runald and Kjaro. These two unleash ice and fire attacks, respectively. They do say opposites attract. Defeat this murderous married couple to complete the Death Do Us Part challenge and collect their wedding bands. We hope you’re happy now. 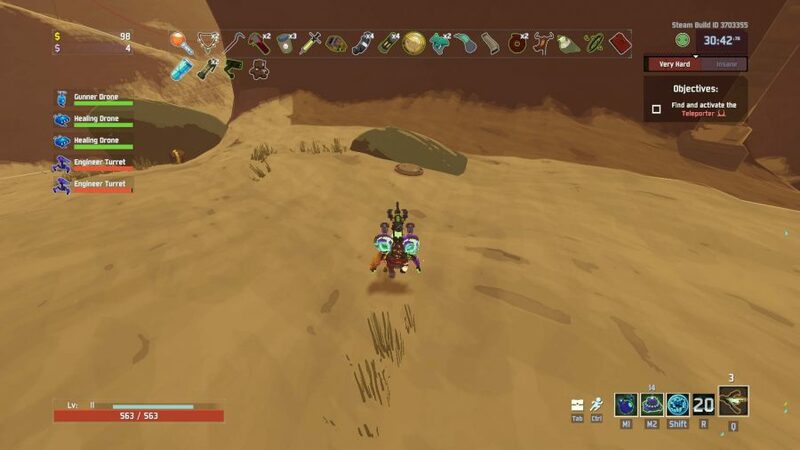 So there you go, that’s how to access the Hidden Aqueduct in Risk of Rain 2 and complete the Death Do Us Part challenge. If you’re looking for more games like this to play with friends, show them around our list of the best multiplayer games and best co-op games on PC. For now, we hope your matrimony lasts better for you and your beloved than the two you’ve just ruthlessly slaughtered.